From social media influencers to getting an inside peek of celeb lifestyles, it’s easy to start playing the comparison game. Being a teen oftentimes invites social pressures that can have you feeling out of place, isolated + constantly battling with body image. 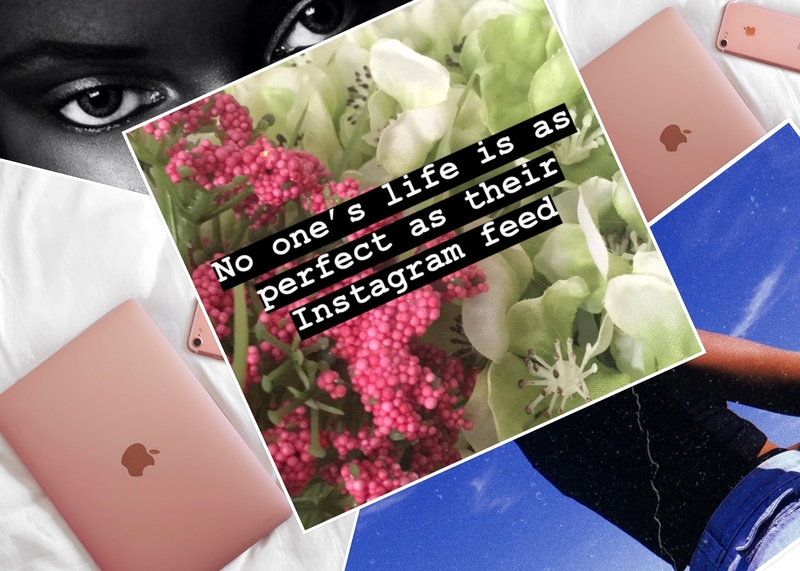 It can be difficult not to compare yourself to others when perfection is portrayed every time you scroll on Instagram. According to the National Alliance on Mental Illness, one in five teens ages 13-18, have or will have, a serious mental illness. Knowledge is power + it’s important to learn more about yourself and how you perceive your body. We spoke with Jamie Manwaring, PhD, Primary Therapist from the Eating Recovery Center in Denver to give us additional insight on the impact of eating disorders and self-esteem. Come join us for body talk! With social media being so prevalent throughout teenage years, how has that affected the rate of eating disorders + depression of teens? Many studies have recently shown strong correlations among the amount of social media used by teenagers, and their resulting body image dissatisfaction, internalization of the thin ideal, and symptoms of depression. We do not yet know if this has impacted the prevalence of eating or depressive disorders in teenagers, but social media can certainly provide unhelpful messages and triggers to teenagers at risk for these disorders, including a greater ability to compare to peers. An eating disorder can lead to suicide or suicidal thoughts, how does struggling with body image create a sense of hopelessness? We don’t know the exact mechanisms by which poor body image can lead to hopelessness, but we do know that body dissatisfaction predicts depression for girls, but not for boys (Bearman & Stice, 2008), although the relationship between poor body image and low self-esteem is similar for both genders (Davison & McCabe, 2006). For those who are unhappy with their bodies, this can create hopelessness due to being in your body all the time, and thus struggling to separate themselves from this component of their unhappiness. Davison TE, McCabe MP.J Soc Psychol. 2006 Feb; 146(1):15-30. Adolescent body image and psychosocial functioning. Bearman SK, Stice E. J Abnorm Child Psychol. 2008 Nov; 36(8):1251-63. Testing a gender additive model: the role of body image in adolescent depression. Being a teen and discovering your personality can be an intense emotional roller coaster, how can friends + family detect between teen moods and a potential mental illness? It is normal and natural that teenagers want to gain their independence and often react harshly to their parents to achieve this outcome. This, in addition to their hormonal changes, can make it difficult to distinguish what is normal versus what deserves intervention. Given that teenagers typically want to spend time with friends and engage in extracurricular activities outside of the home, a change in this desire for a teenager may signal something more is going on for them than just a bad day. In general, look for the severity of their symptoms, the duration of their symptoms (a deterioration in mood that lasts two weeks or longer may indicate depression versus a bad mood), and how many domains their symptoms impact (e.g., at home, in school, and with friends). Finally, parents should always trust their intuition and talk to their teenager’s medical providers and teachers to obtain a better understanding of how the teenager is functioning.